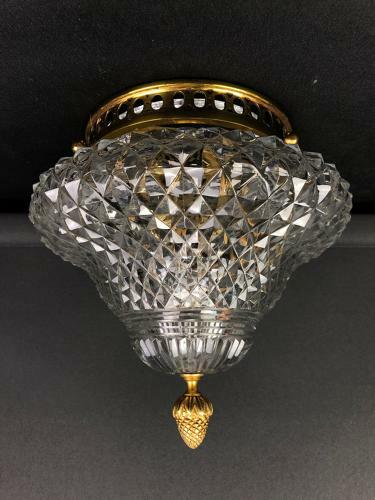 A hobnail cut glass ceiling light, with gilt brass fixture and acanthus bud finial. Re wired with a single light fitting. 20th century.